This 40 Hour course provides Police Motorcycle Riders with the necessary skills to deal with the hazards of operating the Police Motorcycle on local roads and highways. Courses will be set up to mimic hazards and roadway conditions that an operator would face on an everyday basis and instruction will be provided to help the operator deal with these hazards, while avoiding crashes. 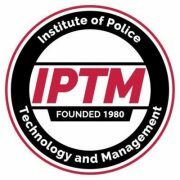 Upon completion of this course, each student (rider) will be provided with a certificate of training from IPTM recognizing them for course completion and 16 hours of Training.